Renting is a great way to earn extra income, but it can be troublesome to pass keys to guests. 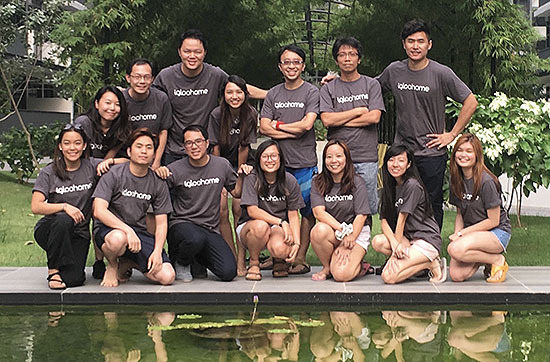 Local startup igloohome came up with a smart solution and found a reliable partner in Airbnb. It is now looking further afield. Close to two years ago, Mr Anthony Chow and his friends were working full-time. They put a few rooms up for rent – and encountered a pain point. “As working professionals, key handovers were a problem for us – we faced a lot of issues getting the keys over to our guests when we were at work,” says Mr Chow. Soon, the group realised that many landlords were facing the same problem. So, they put their backgrounds in algorithm design and software development to good use. Working with hardware players in the Singapore market, they came up with the idea of a smart lock which does not rely on wi-fi. The lock works with “a combination of cryptography and time synchronisation, much like a bank token,” explains Mr Chow. That way, owners can securely allow guests into an empty apartment, and change the code before the next stay. The code can be easily changed via an app. 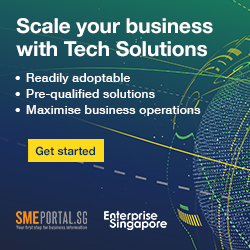 In July 2015, the team presented the idea at a Singtel innovation competition, and won. Igloohome was born. The founders then joined a start-up accelerator in the United States, where they created a prototype. They then conducted a trial with Airbnb hosts, to get feedback and improve their product further. It was a great success. Airbnb named igloohome its only smart lock partner in the Asia Pacific region. As a partner, igloohome is listed on Airbnb Host Assist as a recommended tool for hosts. Those who acquire a smart lock are also a step closer to getting a Business Travel Ready accreditation from Airbnb, which is only given to certain properties. Listings with a Business Travel Ready badge are the preferred choice for corporate travellers. Other criteria include 24-hour check-in and fast wi-fi. The partnership has grown over the years. Igloohome currently offers a service called Airbnb Connect, which allows variations of the smart lock to be synchronised with Airbnb bookings. The lock generates PIN codes for the length of a stay, and sends a unique code to guests. “This means that hosts do not have to lift a finger to grant their guests access. We do not disclose our sales, but we have been seeing strong growth month-on-month,” says Mr Chow. The Smart Mortise Lock is particularly popular with property developers and hotels, Mr Chow says. It can be unlocked through a PIN code, radio-frequency identification (RFID) chip or bluetooth key on a smartphone. Airbnb and vacation rental hosts also like the company’s Smart Keybox, which stores physical keys. Big things are in the horizon for the igloohome team. They work with more than 20 distributors, who are introducing their products regionally and beyond. “We have distributors in Europe, Asia Pacific, North and South America and more,” says Mr Chow. 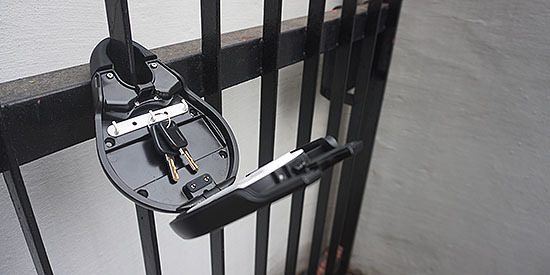 The smart locks are currently available on American websites such as The Home Depot, Walmart and Amazon. They are also on the shelves of Selfridges in London. “We are planning to roll out in more retail stores in the USA, and are very keen to expand further in Europe. The USA is great for us because it's an established market and consumers are already very receptive to the idea of a smart home,” says Mr Chow. Recently, igloohome opened a flagship store in Jakarta. The company is also looking for more service partners who are tapping into the sharing and on-demand economy. Reflecting on igloohome's journey, Mr Chow urges startups to look beyond firming up an idea and planning to execute it. “The most important thing in a startup is sales,” he says.